It's still hard for Cody Festerling (WCAS81) to watch his fourth-graders throw food away after lunch. Living in the land of plenty takes on a different perspective when you've lived in countries where plenty is a foreign concept. So he tries to impart to his students in Pueblo, Colo., what it's like to barter for food in a strange language or the joy of sharing a meal with a family when you're far from home. Festerling came to appreciate the value of a simple meal during three separate postings in the U.S. Peace Corps. He took his teaching skills to Kenya, Belize and Kiribati (formerly the Gilbert Islands) in the Western Pacific. About 11 percent of volunteers extend their two-year terms by an extra year, and nearly 14 percent serve more than once. "It got more interesting each time," he says. "I asked to go to out-of-the-way places, and these were all very different places." Festerling's overseas classrooms differed greatly from those in Colorado. "For a lot of kids in the developing countries, school was a place they went for only a couple of years," Festerling says. In Kenya, he was on the receiving end of the concept of harrambee, which means to "pull together." Villages pool resources to pay teachers and tutors to educate youngsters from 10 to 20 years old. That allowed Festerling to teach English, geography and history in three villages during his two-year assignment. Festerling had studied Swahili, the primary language of Kenya, at Northwestern. But lack of materials, not language, was his biggest challenge. His chalkboard was often no more than a lesson drawn in the dirt. "It was always interesting to create a curriculum using whatever educational materials were available in your host country and whatever you brought or had sent to you," he says. In Kiribati, Festerling found that some of the most effective aids in teaching English were the simple stories in Dr. Seuss books. He also taught the geography of the islands, which happen to be where the international date line meets the equator. 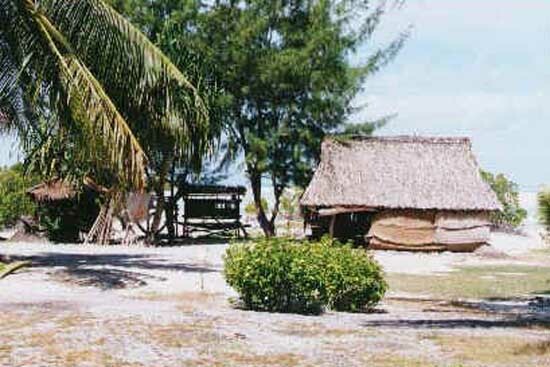 Belize, a Central American country once known as British Honduras, was more developed than Kenya or Kiribati. "We did units in the geography of the entire Caribbean, but the students were really interested in the United States and our daily lives," Festerling says. His time in Belize was difficult because he lost his brother and father within the space of six months. Despite his success and love of service, the losses magnified the distance from his usual support system. "If you were fortunate, you developed a couple of good friends who realized you were lost in so many ways and helped out," he says. "In countless situations, those people were great to me."